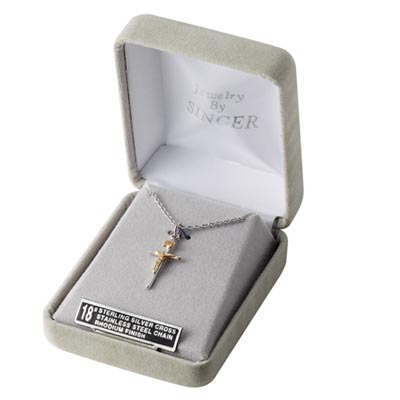 This Sterling Silver Crucifix Necklace reminds us of the sacrifice that Jesus made for us. The crucifix necklace has a high polished Rhodium Finish that will help maintain it's beautiful finish for years to come. The crucifix pendant is attached to a 18" rhodium plated stainless steel chain with a lobster claw clasp. It is delivered in a velour gift box.